Join champagne ambassador Kyla Kirkpatrick a.k.a. 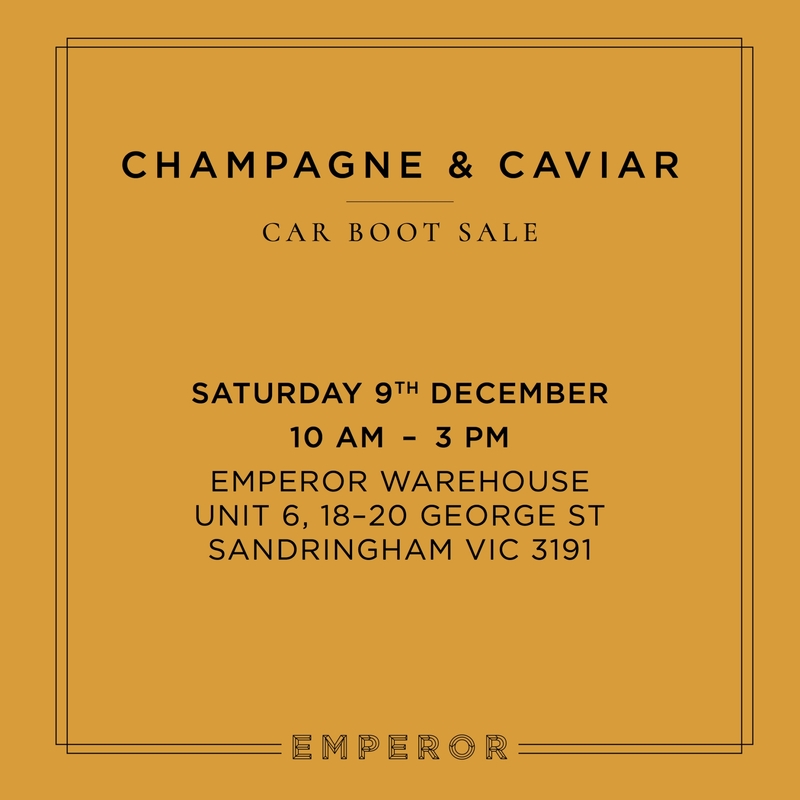 The Champagne Dame and caviar supplier to the stars, Josh Rea of Gourmet Life, in our Champagne and Caviar Car Boot sale in Sandringham. Fill up your cars with champagne and caviar at discounted rates ready for Christmas and New Years. Enjoy a tasting of champagne and caviar on the day and take home your delights ready for the Christmas holiday period.